We service all brands of transits, levels, construction lasers, total stations, sewer and water testing equipment, and gas monitors. 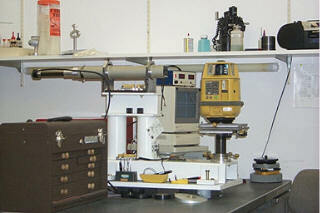 We offer a variety of services from mechanical repair to collimation and calibration service. With our factory trained service technicians, we are capable of performing a range of repairs "in-house". Whenever we do outsource our repairs, we use factory authorized repair centers with state of the art facilities. Our quick turn around time is designed to get your equipment back in service A.S.A.P. and keep your projects moving along without delay. We highly recommend you have your surveying and laser equipment serviced on a regular basis. 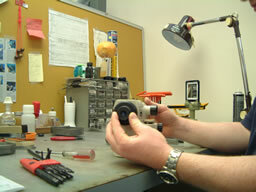 Most manufacturers suggest a regular check-up and calibration every six months to insure accuracy.